Remember that wonderful feeling when you’ve just purchased your brand new furniture, and it sits pristine and beautiful in your home? It’s exactly what you wanted, and it looks even better than you had hoped. That new couch, those lovely dining room chairs, that fluffy ottoman. Unfortunately, though, people actually use this furniture you’ve so carefully selected, and it seems that in no time there are slight stains, faded color, pet hair, and other imperfections that mar the appearance of your once perfect room. This can be especially challenging with upholstered furniture, that fixed fabric that says “clean me!” with no easy way to accomplish the goal. With slipcovers, it’s as simple as throwing it in the wash. With leather, often as easy as wiping it down. But the upholstered stuff can be tricky. 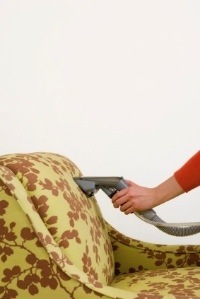 If your teenagers or grandbabies or beloved bichon frise are leaving your beautiful couch a complete mess, here are some easy tips for getting that once pristine piece looking brand new again. 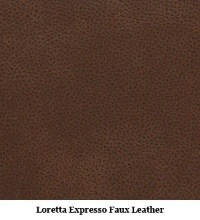 Cost - High quality leathers are expensive and can increase the price of a dining room chair exponentially. 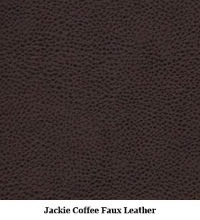 Maintainability - Leather is easy to clean under most circumstances, but faux leather is made of urethane and polyester and is easy to clean with simple water-based cleaning solutions. In many cases a spill will wipe right off with a damp rag. Do you tend to redecorate often or are you planning to move? If you're not sure you'll stick with your dining chairs for very long, faux leather may be the way to go. You'll save hundreds of dollars and won't feel guilty in a couple of years when you decide to take your room in a different direction. Do you have young children? 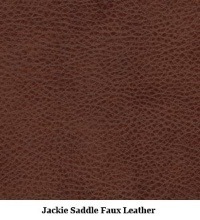 It'll probably be much easier to clean up a spilled juice box or a PB&J accident with the faux than with leather. Do you have pets (especially cats)? While faux leather will not fair any better to cat claws than the genuine article, at least you won't be out hundreds of dollars and you may be able to repair the damage more easily and at a lower cost. As I already mentioned, faux leather dining chairs offer a very reasonable facsimile. You still miss out on the feel and the patina that leather offers as it ages. At the end of the day, the good news is that you have choice!